Happy Father’s Day! Look no further than L’OCCITANE for the perfect gift. This year treat the men in your life to something other than socks with an array of skincare, fragrance or grooming products straight from the heart of Provence. 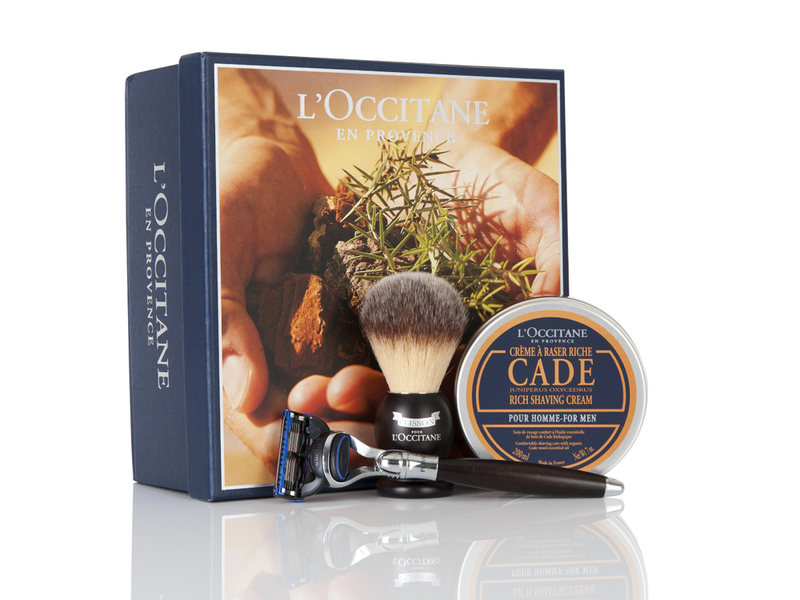 On Thursday we gave you the chance to win your dad the L’Occitan Collection gift box for father’s day. Elegant and spicy the L’Occitan Collection is perfect for the sophisticated man. The gift contains: Shower Gel 250ml, Eau De Toilette 100ml, Aftershave Balm 30ml worth £49. All you have to do to enter is follow us on twitter @marieclaireuk and like us on facebook, look out for our #HappyFathersDay competition tweet or post and send in a picture of you and your dad. Competition ends at midnight on the 15th June 2014 and 1 winner will be picked at random. UK addresses only.